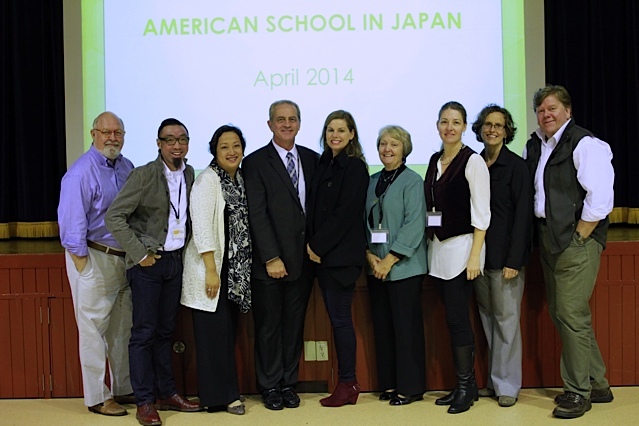 The Western Association of Schools and Colleges (WASC) sent a seven-person team to ASIJ for our ongoing accreditation this week. The visit was a culmination of a great deal of work that involved most people in the school in some way to conduct the self-study. The self-study, which occurs every six years, was facilitated through a series of home group and focus group activities, and reported on four different areas within the school: Organization for Student Learning; Curriculum Instruction and Assessment; Student Support and Resource Management and Development. The Team was made up of teachers and administrators from across schools in Asia as well as a retired superintendent from California. Individuals in the team brought a great diversity of experience and knowledge about international schools like ASIJ and were able to understand our school improvement needs as well as provide advice. Team members also consider accreditation visits like this as professional development and many of them reported learning a lot from how we are engaging in the ongoing improvement process. The team praised the school for the work done in developing and enacting a very forward-looking Strategic Plan. They concurred with the many initiatives within the plan and endorsed the direction the school is taking with the new strategic objectives. They were particularly impressed with the school’s governance structure and fiscal management and the obvious dedication of our faculty, support staff and administration. 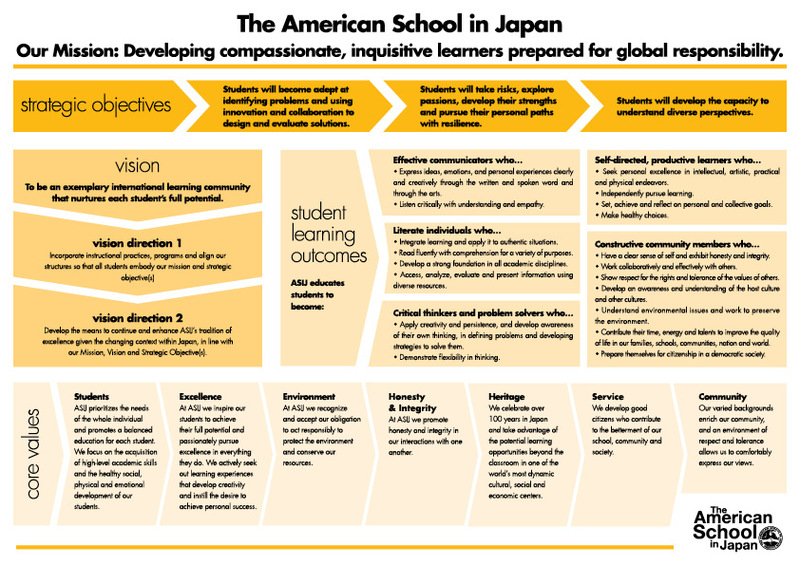 They especially mentioned how articulate and affirming our students were about what a great school ASIJ is. The report will be published once returned from the Commission in June.